Buy or rent the download, save money and watch instantly. 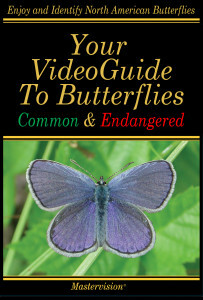 This title was formerly known as the Audubon Society VideoGuide to Butterflies Common and Endangered. Same great content, different title. There are 21 butterflies listed by the U.S. government as “endangered,” which means that they are in immediate danger of extinction. But you can see live video footage of 20 of these rare butterflies (plus four others that are listed as threatened or are candidates for listing) in their natural habitats in the Endangered section of the Audubon VideoGuide to Butterflies, and learn about their lifecycles, why they’re endangered, and their individual recovery plans. 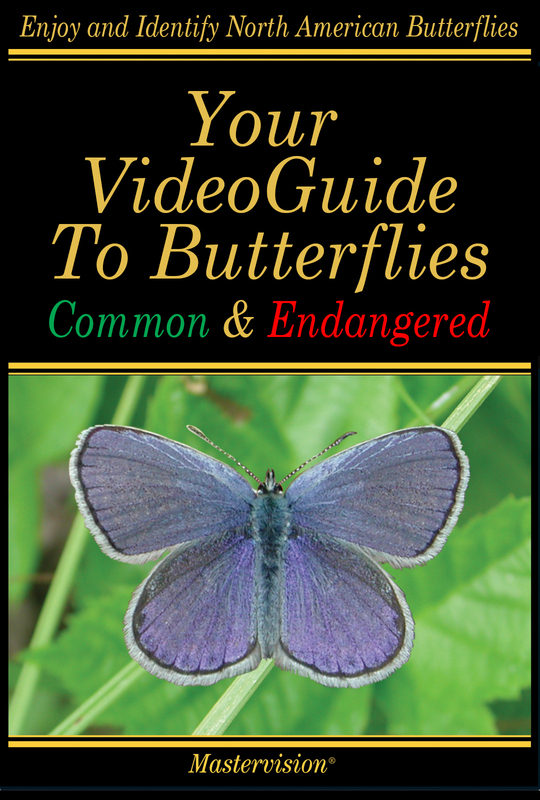 The VideoGuide also contains beautiful live footage and informative information about scores of the common butterflies that are found in fields and gardens all across North America. With a section on the lifecycle of the Monarch butterfly, including footage from its overwintering home in Michoacan, Mexico. From local butterflies that give so much pleasure to everyone, to the rarest of butterflies–few of which are ever seen by the general public, the VideoGuide is a beautiful and accessible way to learn about our environment and the natural world and appreciate these lovely animals. Written by Paul Opler, author of the Peterson Field Guides to Butterflies, and Jim Ebner, who traveled the country for many years to shoot the video footage of the endangered and threatened butterflies. Available only as a download or stream, for purchase or rental. Endangered Schaus Swallowtail, Callippe Silverspot, Behren’s Silverspot, Oregon Silverspot, Myrtle’s Silverspot, Quino Checkerspot, Cloudcroft Checkerspot, Bay Checkerspot, Taylor’s Checkerspot, Uncompahgre Fritillary. Mitchell’s Satyr, St. Francis Satyr, Lange’s Metalmark, Karner Blue, Lotis Blue, Mission Blue, Fender’s Blue, Palos Verde Blue, San Bruno Elfin, Pawnee Montane Skipper, El Segundo Blue, Smith’s Blue, Miami Blue, Laguna Mountain Skipper, Carson Wandering Skipper. Extinct Strohbeeni’s Parnassian, Atossa Fritillary, Xerces Blue, and others.